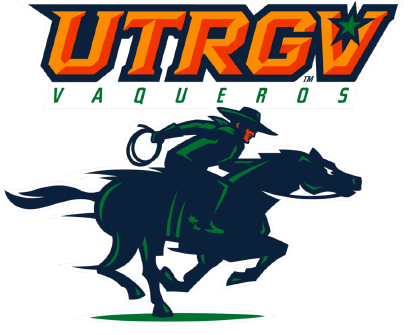 EDINBURG — The UTRGV baseball team fell to Illinois at Chicago (UIC) 14-3 on Saturday at UTRGV Baseball Stadium. UTRGV (4-3) scored all of its runs in the ninth, as junior Roger Varela III reached home on a wild pitch and senior Isaac Gonzalez and junior Anthony Gomez scored on an error. Five UTRGV relievers pitched scoreless innings, including senior George Lamb, juniors Trevelle Hill and Ben Butler and freshmen Adrian Gonzales and Max Balderrama Jr. Gonzales struck out one in the third. Hill threw eight of his nine pitches for strikes, striking out one in a perfect fifth. In his UTRGV debut, Butler struck out three of the four batters he faced in the sixth. Balderrama struck out two in the eighth. Lamb struck out one in the ninth. Senior Austin Siener and sophomore Coleman Grubbs each had two hits for UTRGV. UIC (5-1) sent 12 batters to the plate in the first, scoring seven runs (six earned) on seven hits and an error against senior and PSJA High alum Jorge Flores (1-1). Scott Ota hit a two-run double, Aaron Ackerman drove in a run with a single, Derrick Patrick scored two with a single, and David Becker came up with a sacrifice fly. UIC scored four more runs in the second thanks in part to RBI singles by Joshua Figueroa and Thomas Norton and an RBI groundout by Dylan Gilbert. Norton added a two-run home run in the fourth, and then Ackerman hit an RBI double in the seventh to complete the scoring. That made a winner of Ryan Campbell (2-0), who pitched seven shutout innings, striking out eight while scattering five hits and two walks. UTRGV and UIC wrap up the series at noon Sunday. Fans can receive free general admission by helping UTRGV strike out hunger through the donation of five non-perishable food items. All donations benefit the Food Bank of the Rio Grande Valley. Gates open at 11 a.m.